In 1858, our founder and visionary leader, Eliza Simmons Bryant, moved from North Carolina with her mother, Polly Simmons and two brothers, to Cleveland at 2188 East 31st Street. After the Civil War, Eliza’s family helped many needy people for periods of time. 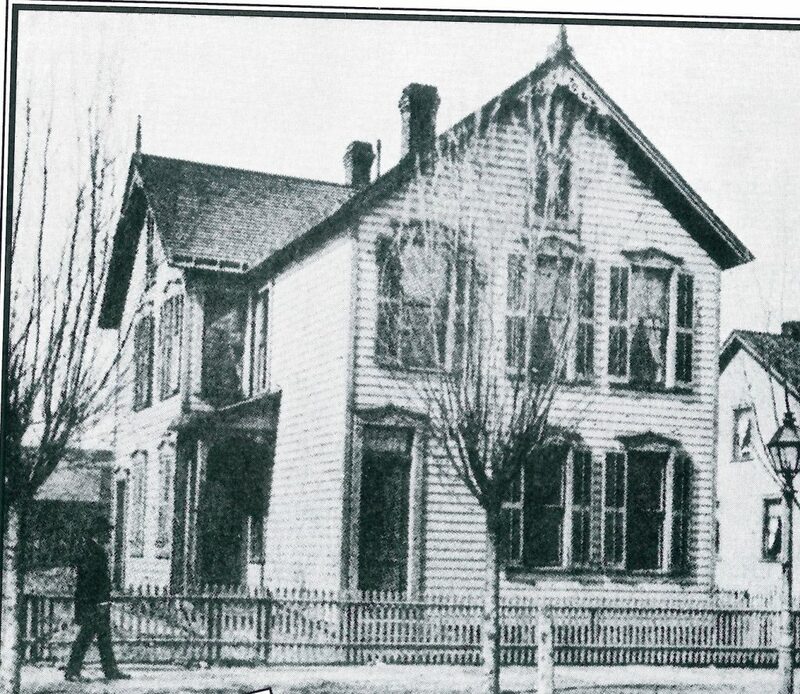 The Simmons home on Newton Avenue was known as a place where a warm bed and a good meal were available. In 1893, Eliza Simmons Bryant and her mother noticed that there were no facilities in Cleveland to care for older blacks as they became frail with no loved ones to care for them. Eliza spoke to a number of women at her church and they agreed to canvas the community to raise money for a home where needy persons could be for. The efforts of these dedicated women were fruitful and on September 1, 1896 a home was incorporated – the Cleveland Home for Aged Colored People – at 284 Giddings Avenue. During the next 18 years, the Home was relocated two times, each move was to more spacious quarters so that more seniors in need could be accommodated. First, to 186 Osborne Street and then in 1914 to 4807 Cedar Road, where the home remained until 1967. For more than 53 years (between 1914 – 1967), the Cedar location provided essential services as a 19-bed facility for aging blacks in Cleveland’s impoverished neighborhoods. In 1960, the Home underwent a major reorganization. First, its name was changed from The Cleveland Home for Aged Colored People to the Eliza Bryant Home for the Aged. Also, an Administrator was hired and the Board was expanded to include Trustees who were representative of the entire Cleveland Community. During that time, the Board decided that a larger facility was needed to better meet the needs of the community. In 1967, the Dorcas Society offered its building located at 1380 Addison Road to the Eliza Bryant Home for the Aged. The A.M. McGregor Home made a donation of $1.5 million dollars, enabling the facility to expand and provide care for 47 persons. With this expansion came a need for a larger facility yet again. The Board of the Eliza Bryant Home for the Aged decided to rebuild in Cleveland’s inner city, in the Hough neighborhood and change the name to Eliza Bryant Center to honor Eliza Simmons Bryant and her mission to serve the underserved aging blacks in the community. After an intensive fundraising campaign, the new Eliza Bryant Center was completed in 1985 at a cost of $5.5 million. Sources of funding for this ambitious project included the City of Cleveland, the federal government, foundations, corporations and donations from the Board, staff and community supporters. The largest contribution of $2 million came from the Forest City Hospital Foundation and represented the largest gift ever made from one black non-profit organization to another. The Inez Myers Senior Outreach Center opened in 1999, expanding the Village by 17,000 square feet. Today, the building houses our Senior Outreach & Adult Day Care Program that also provides transportation, nutritious meals and safe transportation. Also in 1999, a new senior housing complex with 60 one-bedroom units was built, The Eliza Bryant Village Manor. With the successful completion of these two initiatives, the Board approved a name change to Eliza Bryant Village that same year. In 2003, Eliza Bryant Village constructed additional 44 one-bedroom garden-style housing units, the Garden Estates, with funding from The Department of Housing and Development (HUD) and expanded the nursing home from 100 to 175 beds after acquiring the former Madonna Hall Nursing Home. The Amasa B. Ford Lodge, a 45-unit apartment building was built in 2008 to offer additional comfortable and secure independent housing for seniors. The Village’s Skilled Nursing Care and Therapy Renovation project completed in 2009 consisted of renovating 3,000 square feet of existing space, construction of a 1,300 square foot glass enclosed lounge for family socialization and recreation activities, new central bathing rooms, enhanced therapy suites and new activity lounges. In collaboration with the Centers for Dialysis Care (CDC), Eliza Bryant Village constructed a new dialysis center on-site that opened in 2015. Over the years, Eliza Bryant Village has experienced tremendous growth and has repositioned itself to address the evolving needs of senior care within the community. Critical to our continued dedication and success is three passionate and hard-working Auxiliaries made up of about 100 wonderfully talented and compassionate women. Not only have they helped raise funds to support programs and services, the auxiliary members provide leadership and give countless hours of service to enhance the quality of life for our seniors. Auxiliary I was originally founded as the Lady Board of Managers at the time the home was opened. In 1948, the name was officially changed to Auxiliary I. Auxiliary II, formally known and established as the Junior Board, was established in 1939. Formed in 1969, Auxiliary III is the youngest auxiliary group dedicated to supporting Eliza Bryant Village. Annual fundraisers are hosted each year by the three groups to benefit the seniors and support the mission of Eliza Bryant Village. Eliza Bryant Village provides high quality services and outreach programs along a continuum of care in a dignified, compassionate and secure living environment for seniors and their caregivers. Located on 17 acres in the heart of Cleveland, the Village has been an anchor institution in the community for more than 121 years, Eliza Bryant Village is located in the same neighborhood from its original 1986 site and has expanded to a $35 million capital investment that includes eleven buildings. Standing as the oldest continually operating African American-founded long-term care facility in the United States, we are able to serve more than 1,200 residents and program participants annually with more than 260 compassionate employees and nearly 300 volunteers. Thanks to Cleveland.com and Zachariah Durr for creating this video.